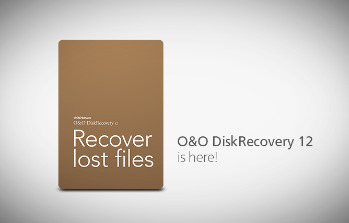 O&O DiskRecovery portable searches for files that were accidentally deleted or lost through a crash or software error. It then reconstructs and recovers the files quickly and easily. It scans the entire hard disk, partition or USB Stick for lost files, photos, videos, music files and many other data types before reconstructing and recovering them. It can also carry out SD Card recovery. It is eminently easy to use with a step-by-step wizard which tells you how to recover deleted files, making data recovery simple even for users with little or no experience. If O&O DiskRecovery is not already installed on your computer when disaster strikes, the instant installation is ready to help you. All you’ll need is a second computer and a removable hard disk or drive (e.g., a USB Stick or external hard drive). Start the installation on the second computer and save the “Instant Installation” on the removable drive. You can then connect this drive to the target computer from which you want to recover files, and run O&O DiskRecovery from there. Doing so will let you avoid a complete installation on the target computer, which in turn could possibly overwrite important data on the hard disk that are needed for a successful data recovery.